With Europe last week publicly joining the growing number of nations and regions bent on a course of de-dollarization, the biggest question hanging over this policy shift is should the dollar lose its reserve currency status, what is prepared to take its place? 1. A basket of currencies? Indubitably, the world is rushing headlong towards a cashless society where even right now over 90% of all transactions take place in the digital realm. And while there are hundreds of millions of people spread throughout the globe that would balk at a purely digital monetary system due to the fact that all access to money would be left in the hands of untrustworthy bureaucrats, a more acceptable outcome would occur should the system include the world's money being backed by some form of tangible asset. 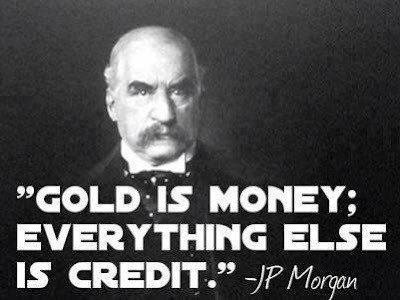 This is why it is unlikely that a de-centralized cryptocurrency like Bitcoin would be able to function in this manner, especially because history has shown that people have always demanded a return to a gold standard following the spectacular failures of fiat currency systems. But again I must stress that we now live in a digital age as opposed to times past, and the potential for a cryptocurrency to replace fiat currencies in international settlement if it is gold backed is a very real possibility. Now we at Shotgun Economics are certainly not advocating that Goldlinks or any other gold backed cryptocurrency currently in the financial system will be co-opted by sovereign entities to serve the purpose of international settlement, but what we are advocating is that even Russia and China are in the process of a combined effort to accumulate gold and create their own sovereign cryptocurrencies, meaning that they appear to be preparing for such a transition, and as a viable replacement for the dollar once it loses its last remaining hegemony.